Great sound, fewer features, lower price. 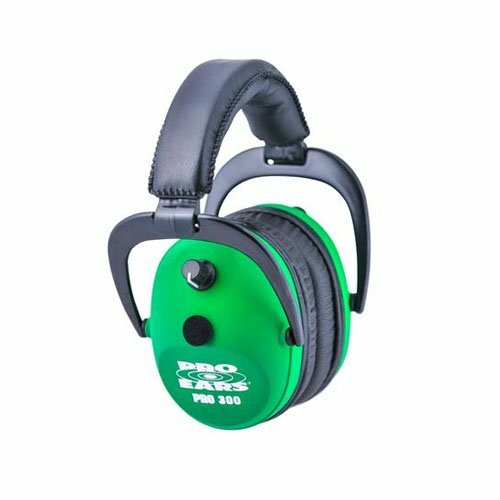 The Pro Series does not have all the features that come standard with the 8 bit microprocessor on the gold Series but they do offer great sound, real comfort and effective sound attenuation. The Pro Series offers industry leading DLSC compression technology, wind abatement programming and built-in quality similar to our top of the line gold Series. The circuit board reduces high frequency filtering which may benefit those with high-frequency hearing loss. Separate circuit boards, one in each cup, with their own on/off and volume controls eliminates the need for wires and increases reliability and adjustability. We thought about offering a recessed, electronic volume control with on/off switch (they look cool) but after in-field tests proved a shooter wearing gloves had better control with our old fashioned pots we decided performance was more important than looks.